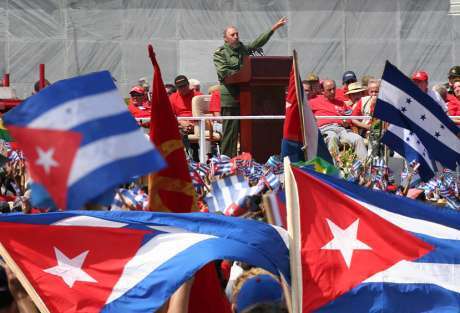 In Cuba, it is not only about white beaches, turquoise water and exotic flora and fauna; it is also about American cars of the 40’s and 50’s, Ernesto “Che” Guevara’s portraits, salsa rhythms, a smell of cigars, a taste of rum and a cheerful attitude towards the world of the locals. If one wants to get to know a somewhat different Cuba than the one with popular and crowded seaside resorts and hotels, it is worth setting sail on a cruise to discover its true nature. Cuba, the largest of the Caribbean islands (mainly due to its varied coastline with about 200 bays and 300 beaches), surrounded by coral reefs and distinctive of its exquisite landscape combining mountains with lowlands, is a perfect destination for all sailors. The colonial past of the island and a unique combination of Latin American, Spanish, and Afro-Caribbean influences created a fascinating culture. Main ports are situated in the provinces of Cienfuegos, Havana, Manzanillo, Mariel, Matanzas, Nuevitas, and Santiago de Cuba. The island has a sub-tropical humid climate, which turns into a tropical type in the south. Temperatures are higher during rainy summer (May – October, when humidity reaches 82%), and lower in winter months (November – April, when humidity is 77%). The best in terms of weather conditions is a period between December and April, in particular February and March. Average temperature of the air is 23-24 °C, while of the water – 24-26 °C. The rainy season, which co-occurs with the hurricane season, lasts from June until November. The climate on the south coast of Cuba is affected by the weakening trade wind blowing from the northeast in the Northern Hemisphere with the strength of 3-4 degrees on the Beaufort scale. 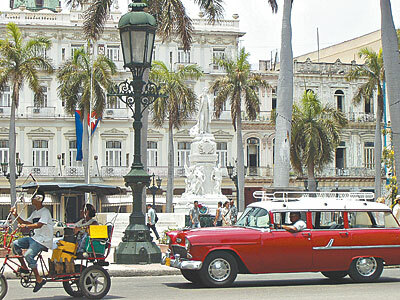 Havana – Cuba’s capital and one of the writer Ernest Hemingway’s havens. The best points of interest include: Old Havana (La Habana Vieja) with magnificent architecture in the colonial style, inscribed on the UNESCO World Heritage List, picturesquely situated Castillo del Moro and La Cabaña fortress complexes which used to protect Havana Bay, a baroque cathedral built in honour of Christopher Columbus, the Malecón (a broad esplanade stretching for 8 km along the coast in Havana), or Tropicana, a legendary cabaret and nightclub, which played host to such stars as Marlon Brando, Ernest Hemingway, or Edith Piaf. It is also worth dropping in to El Floridita pub, where Hemingway used to spend long hours sitting and drinking.